Come join and be a part of the momentous ‘lights off’ event on 31st March, Saturday, to protect the planet. Get your hands on exclusive Suria KLCC LED candles for FREE (limited to the first 1000 participants only) and enjoy eco themed performances throughout the night. Also, catch your favourite local celebrities - Joe Flizzow, Cheryl Samad, Sazzy Falak, Bernie Chan, Zizan Nin and Hani Harun. 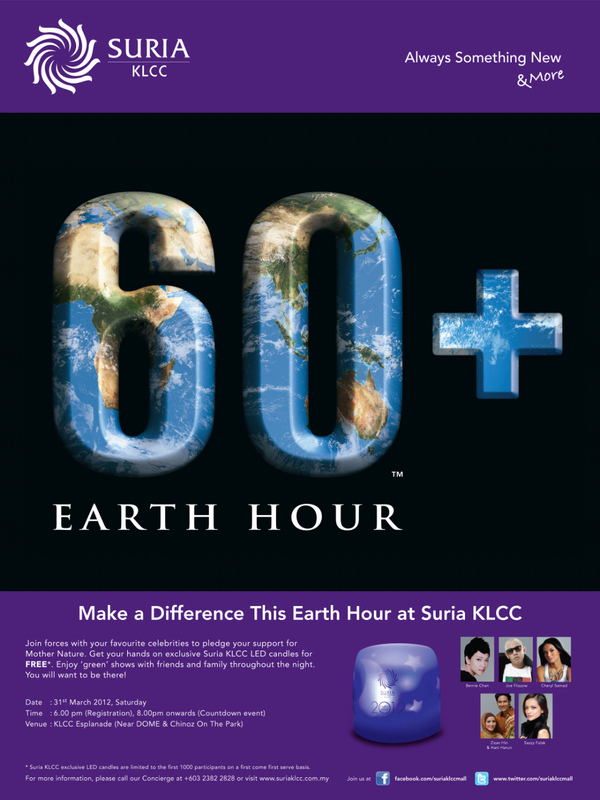 You can also check out Suria KLCC Facebook Fanpage for more exciting updates! Don’t forget to spread the word to family and friends…! !